Muddy Buddies have always been one of my favorite little treats to snack on. It is just something about that chocolate, peanut butter, and powdered sugar that just draws me in. 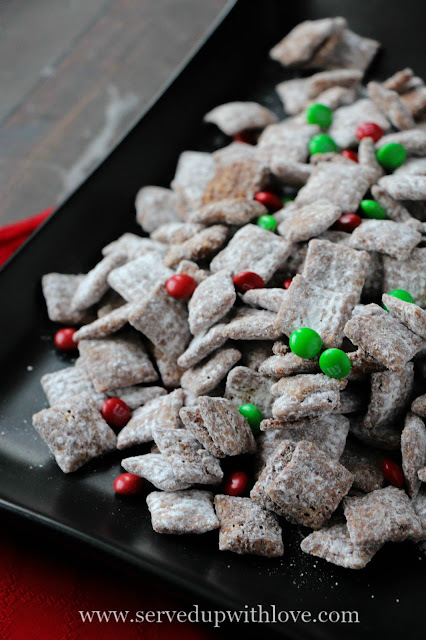 These Christmas Muddy Buddies are super festive and the perfect little sweet treat during the holiday season. Each year I have the best of intentions when it comes to holiday baking and making treats. Although my list can usually get longer and longer each year, this year I have scaled things back a bit so that I can enjoy the Christmas season more with my family. We all strive to make everything just perfect but in doing so we stress way too much. So instead of a ton of different cookies, we will make just a few of our favorites. 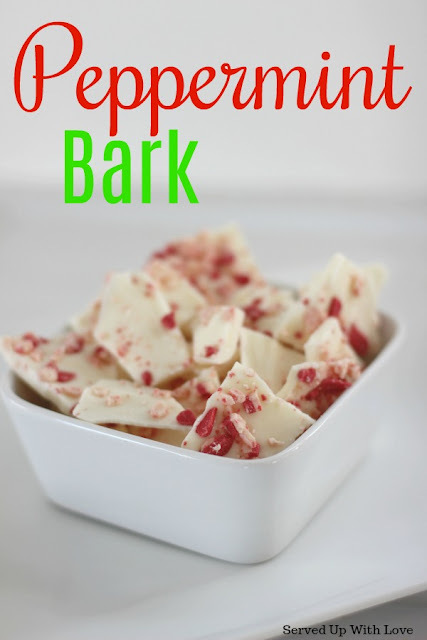 And of course, we have to throw in some Peppermint Bark (its a must) Christmas wouldn't be the same without it. 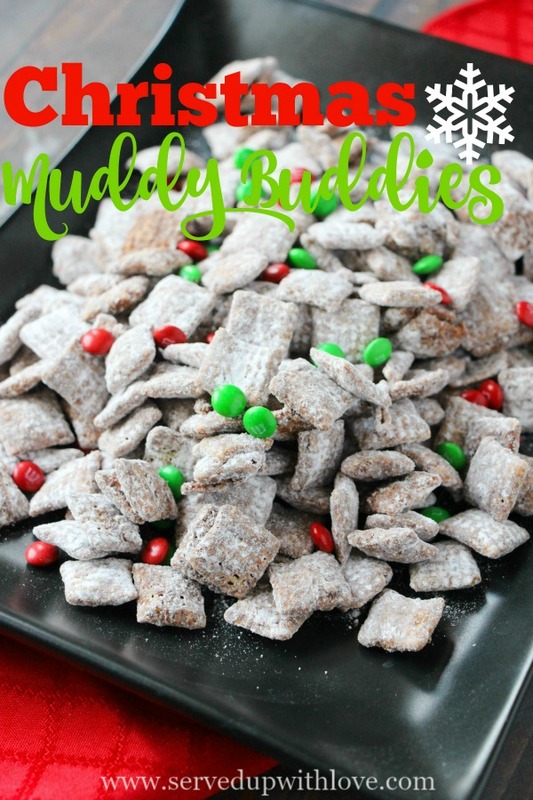 These Christmas Muddy Buddies are a cinch to make. Within minutes you could have a sweet treat for your loved ones. Or have on hand for someone who stops by for a visit. Packaged in a cute mason jar or Christmas tin, they make the perfect gift. 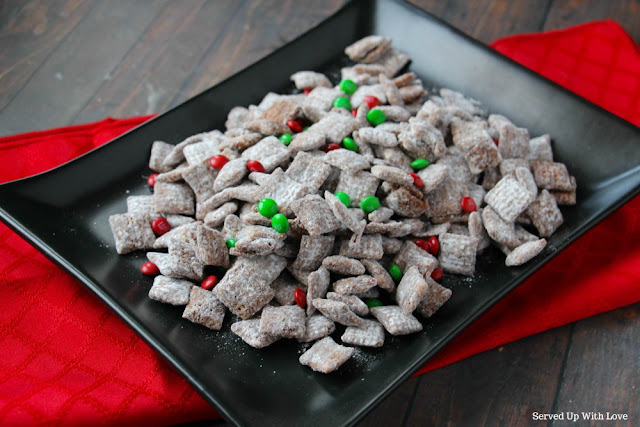 Because holidays are meant to be enjoyed with family and friends....AND a little powdered sugar! 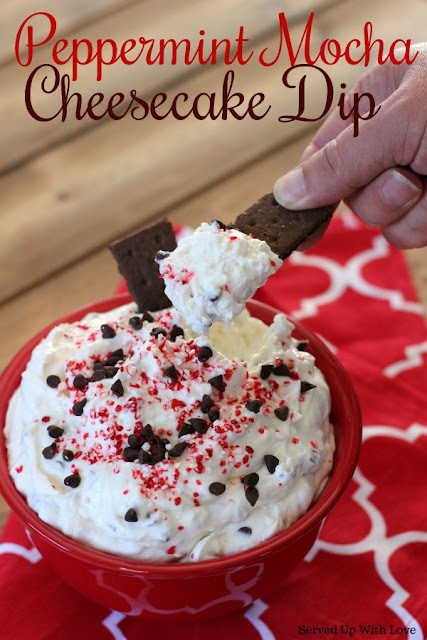 Super addictive holiday snack that the entire family will love. Into large bowl, measure cereal; set aside. In a large microwavable bowl, place the chocolate chips, peanut butter and butter. Heat in the microwave for 1 minute, then stir well. Microwave about 30 seconds longer or until mixture can be stirred smooth, as pictured. Stir in vanilla. Pour mixture over cereal, stirring until evenly coated. 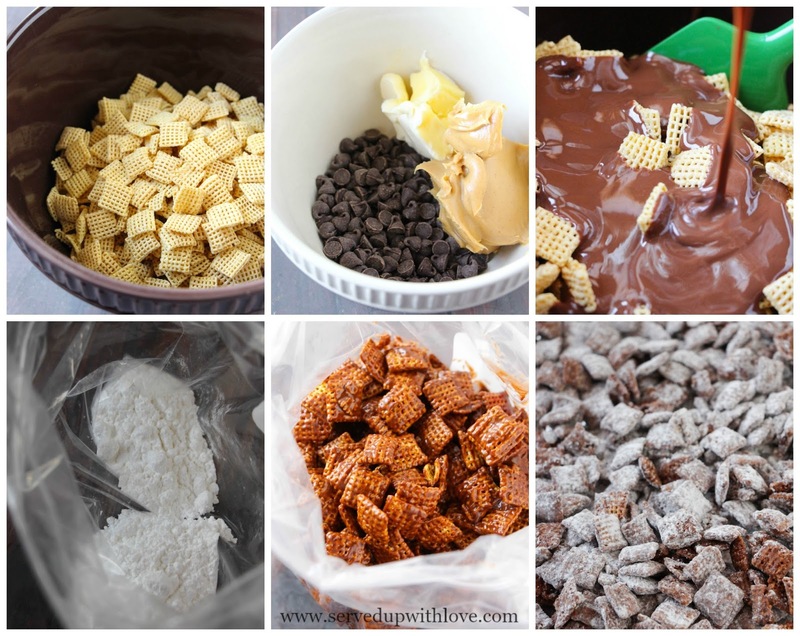 Pour the chocolate-coated cereal into a large (2-gallon) resealable food-storage plastic bag. Add powdered sugar to the bag, and then seal and shake. Shake until the cereal appears well coated by the powdered sugar. Spread on waxed paper or tinfoil to cool and set. Store in airtight container in refrigerator.